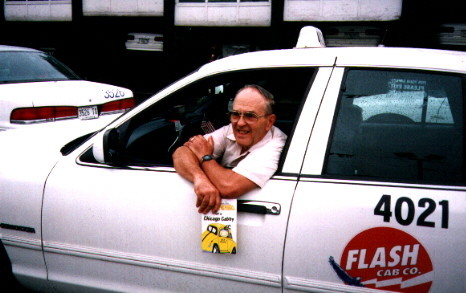 Looking for the strange, unusual stories of how one cab driver dealt with the con-artists and dead-beats, endured the obnoxious and drunks and survived the stick-up-artists? This collection of stories will shock, amuse, entertain and sometimes bring you to tears. 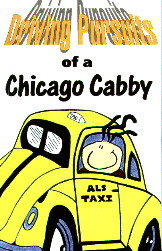 These are the stories of a cab driver's 49 years of experience driving in the Windy City! He has had more than experience; he was educated in one of the biggest social universities of the nation --- the city of Chicago! On one occasion, a teenage female attempted to skip out --- chasing her through a long passageway and three flights of stairs, I caught her trying to hide behind a garbage can. Another joker jumped out from the first-floor window at night in the winter to avoid paying a $2 cab fare! One intoxicated villain punched me in the jaw, ripped the meter off the dash and then fled down the street because I would not let him play the radio. Another who attempted to con me out of my money also punched me in the jaw when I insisted he should pay me the full fare. One skilled con-artist gave me an unbelievable story of a fabulous trip that would bring me a goodly gain of cash. Though it sounded, good it would relieve me of my money. One lying scoundrel, who rode in my cab all day, attempted to extort money from a bar owner by force and intimidation. I later discovered he had no money. Acts of repugnancy and indecency that occurred in the back seat of my taxicab left me in a state of shock. One passenger's special request brought him to the dreaded Carbrini-Green project. Seeking to buy drugs, he disappeared. "Freedman began telling of the struggles he has gone through to convert a lifetime of hacking into a 192-page book, "Driving Pursuits of a Chicago Cabby." - - - Jon Anderson, Staff Writer, Chicago Tribune, July 7, 1999.